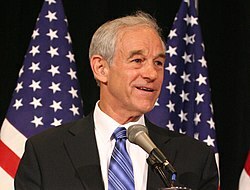 During his time in the House, former Representative Ron Paul was a leading opponent of the U.S.-Israel relationship. Now he’s formed a think tank with anti-Semites and 9/11 truthers, according to a report published yesterday. Given this, it is unacceptable for Mark Sanford to accept his endorsement. After years in public service Sanford should know better and reject the endorsement — but it seems that desperation is trumping common sense after each self-inflicted wound in Sanford’s campaign. Republicans who seek and flaunt Paul’s endorsement cannot reasonably claim to be a friend of Israel or the American Jewish community. Period. The U.S. rugby team for the Maccabiah in Israel this summer will train with the US Navy Seals at their facility on Coronado Island and at the Olympic Training Center in Chula Vista during this week. The team has been training for the last year under Shawn Lipman, who was an International with the USA Eagles — having played in the Rugby World Cup — and the captain of the USA Maccabiah Team that won the gold in 1997. The forward pass is completely forbidden, and players can only advance by breaking the opposition line or running to a ball kicked by a teammate in front of them. The game does not stop after the tackle and substitutions are limited, which requires the players for better aerobic ability. Each team has 15 players on the field: eight forwards who win the ball at set pieces and after the tackle, and seven backs that break the opposition line and score most “tries” (equivalent to touchdown). The game is not violent, and only specific ways of tackling and pushing are allowed, and so the players use minimal protective equipment. “The squad that we have assembled is the most talented and athletic squad ever assembled and has seven international level players”, said Lipman to the Philadelphia Jewish Voice. “I anticipate all the teams will be better this time and the competition will be very good. We believe that by training, coaching and managing ourselves like a professional elite level team, we will be prepared for the challenge of the tournament”. The team is expecting a fierce competition from nations like Britain, Australia, South Africa and Israel. For the first time in the Maccabiah the teams will also compete in the seven-a-side format, which is shorter (14 minutes instead of 80) and requires a better athletic ability as the seven players need to cover the whole same-sized field. “We are planning on winning Gold in both”, added Lipman. Zach Test, professional Rugby player with the U.S. National Team, alumnus of the 2009 Maccabiah, IRB Sevens World Series in 2010-11, and member of the U.S. Team that took the bronze at the 2011 Pan American Games. The tournament will start on July 19. Follow the Philadelphia Jewish Voice on Facebook and Twitter for additional coverage of the team as preperation progress.